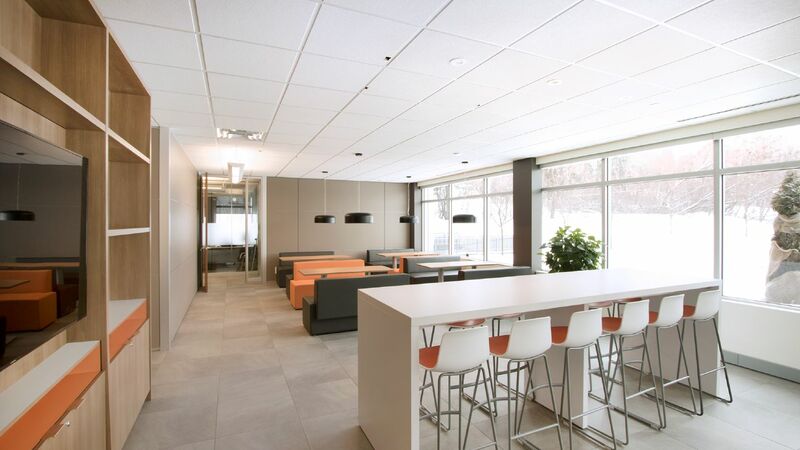 The workshop lounge at our Montreal headquarters features the BEKOTEC modular screed system under tile. 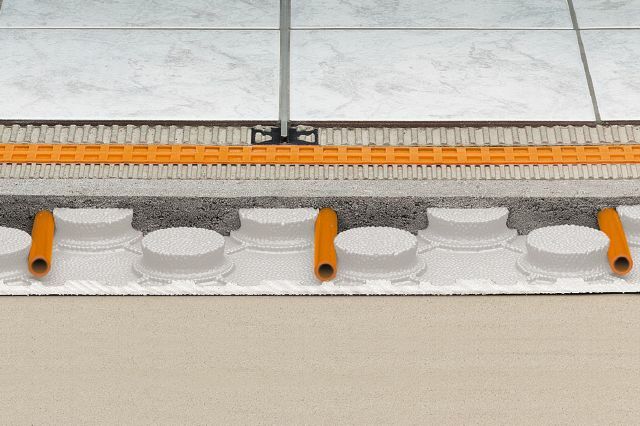 The DILEX-KSN movement joint in grey allows movement and reduces stress in the large expanse of tile floor. 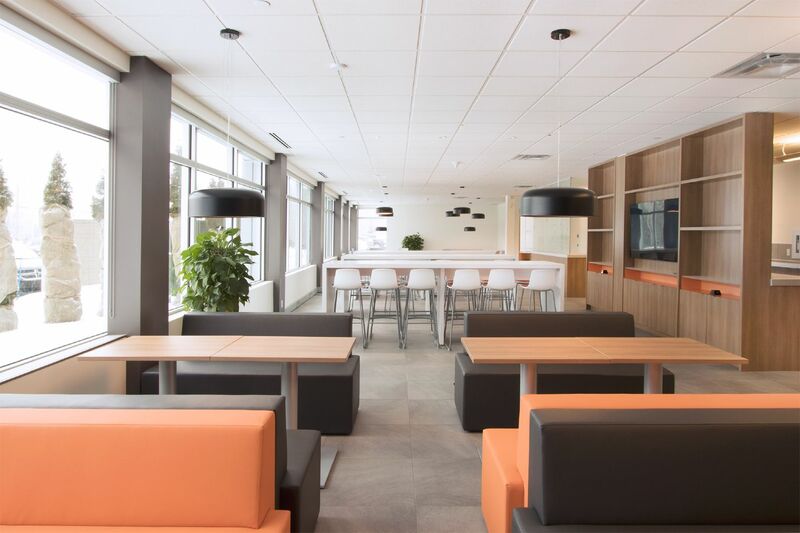 The workshop lounge at our Montreal headquarters features the BEKOTEC modular screed system under tile. 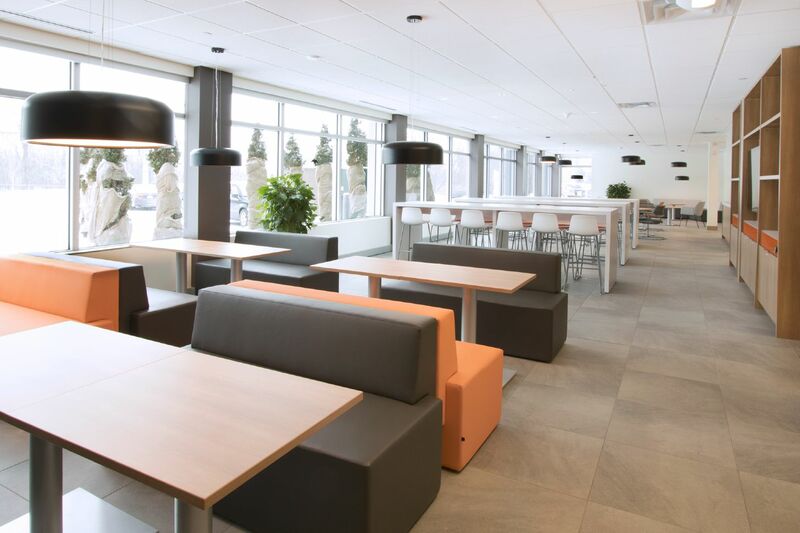 The DILEX-KSN movement joint in grey allows movement and reduces stress in the large expanse of tile floor. 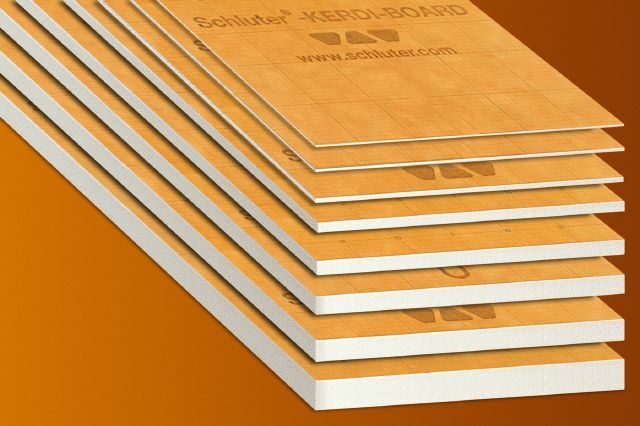 QUADEC, in nickel, frames the course of tile along the window sill. 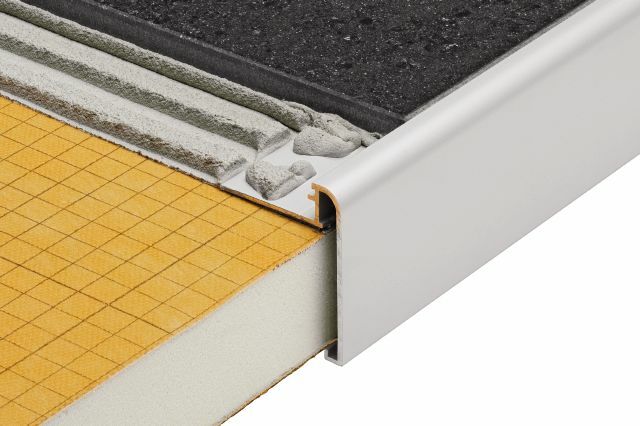 Under the large expanse of floor tile lies the BEKOTEC modular screed system. 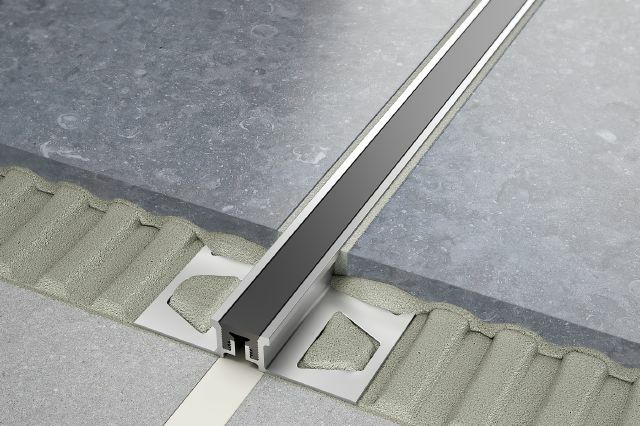 The DILEX-KSN movement joint in grey allows for movement and reduces stress between the tiles. 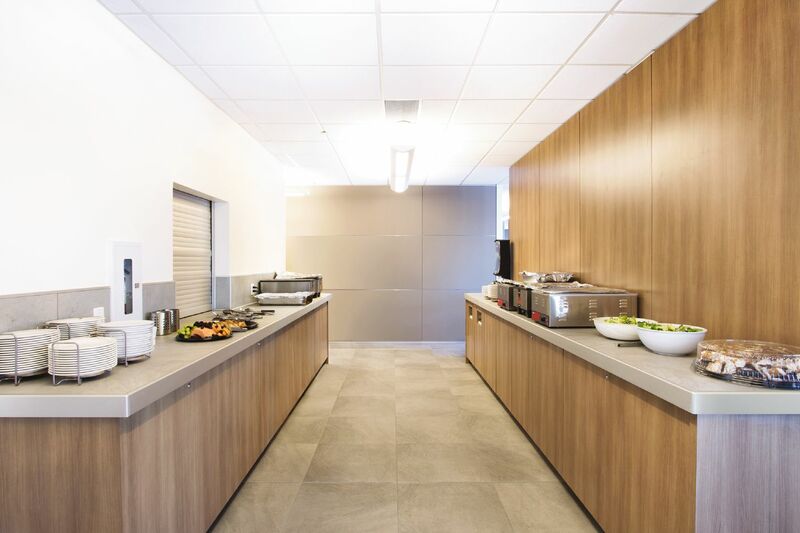 Finishing and edging profile RONDEC-STEP in satin anodized aluminum frames the tiled countertop, which was constructed using KERDI-BOARD. 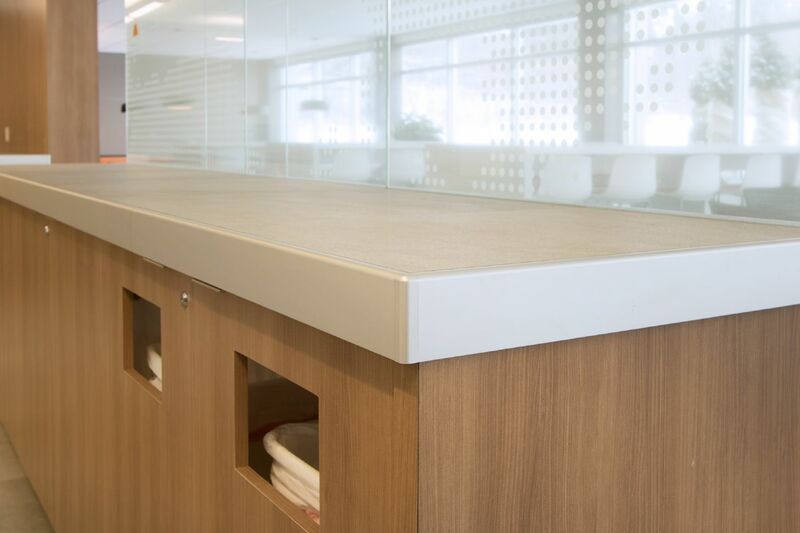 RONDEC-STEP in satin anodized aluminum prevents tile edges from chipping on countertops. The vertical leg of the profile hides the exposed edge of the sub-assembly. 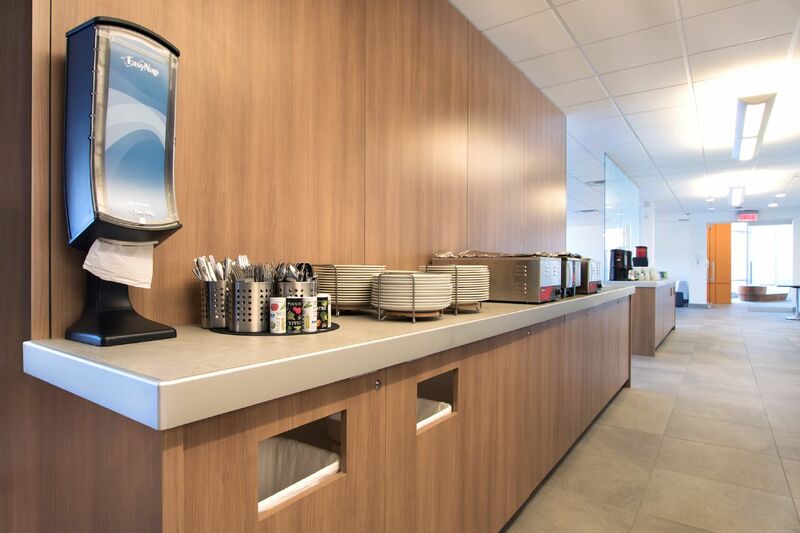 RONDEC-STEP in satin anodized aluminum prevents tile edges from chipping on countertops. 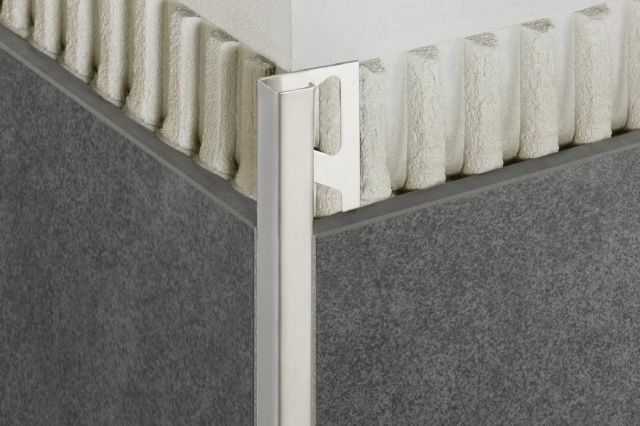 The vertical leg of the profile hides the exposed edge of the sub-assembly. 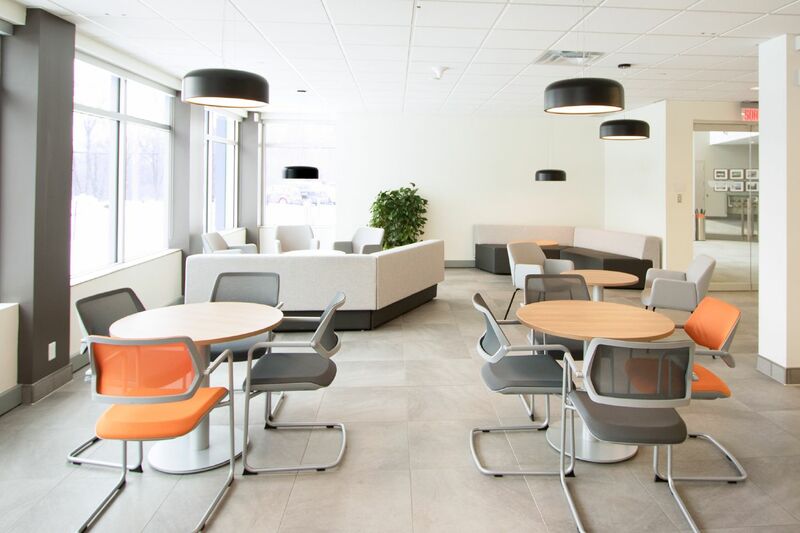 The DILEX-KSN movement joint in grey allows for movement and reduces stress between the tiles.